The Eastguard Health Insurance Company is a subsidiary of the Guard Insurance Group. While no company website exists for Eastguard Health Insurance Company, the Guard Insurance Group offers the same products and services. 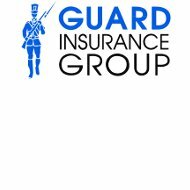 Clal Insurance Enterprises Holdings, Ltd purchased the Guard Insurance Group in 2007. Enter your zip code to get health insurance quotes and information on supplementary insurance plans! Because Eastguard Health Insurance Company is one of four subsidiaries of the Guard Insurance Group, this review will mention Amguard, Norguard, and Westguard in order to cover the entire range of products and services offered. The Guard Insurance group offers workers’ compensation insurance products and other liability based insurance plans designed towards small business owners. Custom insurance products are also available. Husband and wife team Judd and Susan Shoval originally conceptualized the Guard Insurance Group in 1982, but it was officially founded in the year 1983. The pair had been working together as insurance agents in Wilkes-Barre, Pennsylvania for a number of years; however, they were not able to offer all of the insurance products that they wanted. The Guard Insurance Group was founded in order to give the Shovals’ clients access to workers’ compensation insurance plans. Since then, the Guard insurance Group has gone on to expand to 28 states. All Eastguard Health Insurance Company products are underwritten by the Guard Insurance Group. Individual health insurance plans are sold out of independent offices, but policyholders also have access to the Guard Insurance Group’s online portal. The Guard Insurance Group also sells automobile insurance, liability insurance products for small businesses, and commercial insurance products. With more than 600 insurance agents representing the Guard Insurance Group, all insurance products are sold over the phone, through the mail or in person. The Guard Insurance Group allows its agents and brokers to oversee customer accounts, make changes and develop customized insurance plans to meet their needs. Although the Guard Insurance Group processes payments through its Baltimore, Maryland, office, late payments, down payments, and billing information requests are all handled by the home office in Wilkes-Barre, Pennsylvania. Phone inquiries can be made by dialing 800-673-2465. The Guard Insurance Group also has an online form that can be filled out by individuals who want pricing information on insurance products. Emails to the Guard Insurance Group may be sent to [email protected]. Eastguard policyholders or customers who have purchased policy through any of the Guard Insurance Group’s subsidiaries can use this contact information to get the answers that they need. The Guard Insurance Group processes insurance claims over the Internet, via fax or though standard US postal mail. All the Guard Insurance Group subsidiary policyholders will need to get in contact with their insurance agents to find out the best method to use. Because Eastguard Health Insurance Company and the Guard Insurance Group primarily sell workers’ compensation policies, these companies take fraudulent claims very seriously. There is an anonymous insurance claim fraud hotline that can be dialed at anytime. All information is thoroughly investigated by the Guard Insurance Group. Applicants can submit their resumes via the Guard Insurance Group online employment portal. The Guard Insurance Group also offers college students and recent graduates the opportunity to intern. Health benefits, opportunities for higher education, an online forum and recognition for excellent service are some of the main perks offered by the Guard Insurance Group. Although all of the jobs listed on the Guard Insurance Group’s official website are located in Wilkes-Barre, Pennsylvania, independent insurance agents can work out of 28 different states. The Guard Insurance Group has a presence in 45 states; however, the company is still working on selling products in those states. Enter your zip code to get access to various online health insurance rates offered by leading companies.